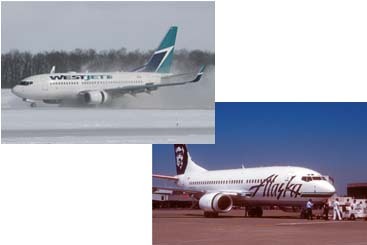 The 737-700 was the 1st of Next Generation series and was based on the 737-300 and started operation in 1998 It actually replaced the 737-300 in Boeing's line of products, and its counterpart is the Airbus A319. The 737-700C is a convertible variation where the seats can be taken off from the plane to carry cargo. The US Navy was the first one to use the 737-700C. Boeing launched the 737-700ER version on 31 January 2006. This version is designed for long-range commercial purposes. Other versions are C-40A Clipper and Boeing 737 AEW&C.